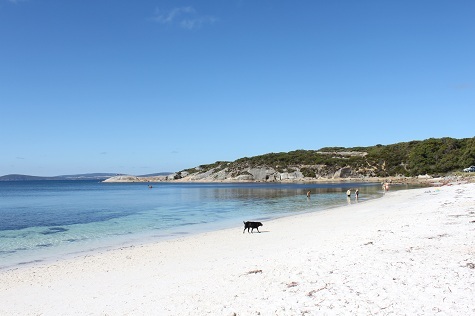 The best Albany Beaches 20 swim fish walk Albany WA beach. The best Albany Beaches - 20 swimming fishing surfing walking on Albany beach Scroll down for information on 20 top Albany Beaches. 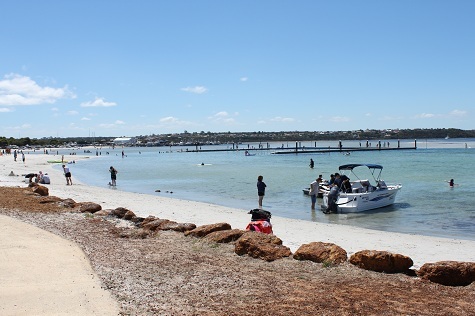 Middleton beach just 6 minutes from York Street (Pictured above) is great for swimming with a floating raft just offshore near the Jetty which can be good fishing. Squid Herring Travelley Flathead and Whiting just to mention a few are caught here on a regular basis. Surfing is OK on the right wind. Toilets and showers are available at the Town end and the beach is excellent for walking either by beach to Emu Point or boardwalk into Town 4k each way. September 2015 and Spring is here so lets walk the beach. Google map & more information click on Middleton Beach. Emu Point Beaches and swimming baths. 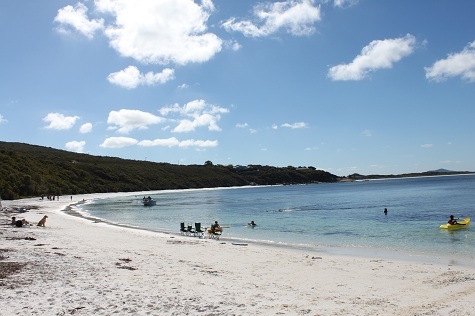 At Emu Point you get a choice of swimming in a protected pontoon area or on one of two beaches, one which is Ocean side and the other in Oyster Harbour near the pontoon. Fishing is good on the rocks with a wide variety of fish caught. Oyster Harbour side is very much protected and you are close to toilets and Cafes. 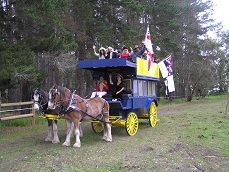 You are only a short walk to the boat pens where you will find the Kalgan Queen Riverboat and the Sam the Seal Bronze. Plus the Oysters of Oyster Harbour! Just 60 metres past the Squid Shack Fish and Chip shop is the Oyster Mussel farm and you can buy straight of the farm, that’s fresh. Warning don’t swim or fish to close to the boat pens stay at least 100 metres away. Pelicans are found in this area but be careful as there is a $5000 fine if you hook one! 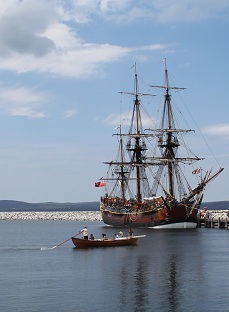 There are much better and safer choices than being close to the boats. Frenchmans Bay looking left from the car park. Looking right from the car park at Frenchmans Bay beach. A short 15 minutes’ drive will take you to Frenchman’s Bay Beach, this is a good choice for a family outing as it is well sheltered, and there are BBQs and toilets. On the way out you pass the Wind Farm, The Gap and the "Natural Rock Bridge" You are close to Whale World which is well worth a visit but you need to allow up to three hours to fully explore this attraction. Although there is some seagrass a short way out which makes it hard for fishing, it is great for snorkelling, you are close to many little bays and beaches that are also very good. You can walk the Beach taking in the scenery. 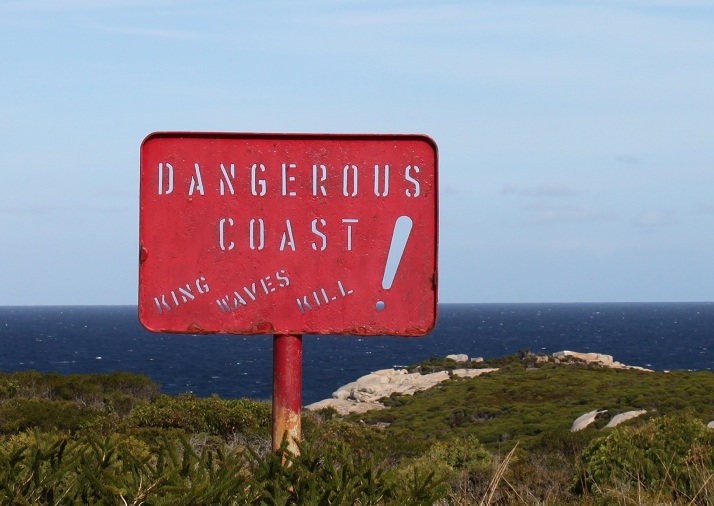 Warnings take great care when on the rocks fishing or walking. Nicole Baudin French explore lands here in 1803 hense "Frenchmans Bay"
Betty’s Beach is or was a professional Salmon fishing beach. You will find a camping area and toilets. A small bay beach which can be OK fishing and walking is good in the area with caution on the rocks. It is easy not to notice warning signs when you are taking in some os the most beautiful scenary in the world, PLEASE DONT!!!! I live here and make my living on the water and most years have to see and hear about people being brought back from Rock fishing in body bags. Yes beautiful but potentialy deadly. On the right just before Betty’s is a little Island which can be good fishing with extreme care!!! These pictures well spectacular don’t show how good the beach is itself, white sand with crystal clear waters. There are places to camp with toilet facilities BBQ’S and picnic tables next to a great Family beach, swim fish walk relaxe, an over done pun but it is cosy at Cosy corner. Make sure if you’re camping you bring your own drinking water. The fun Police D.E.C.K. do visit on a regular basis just in case you’re having a good time, so if you have a dog make sure it’s on a lead, make your day not there's. Cosy Corner Beach looking across the rocks. 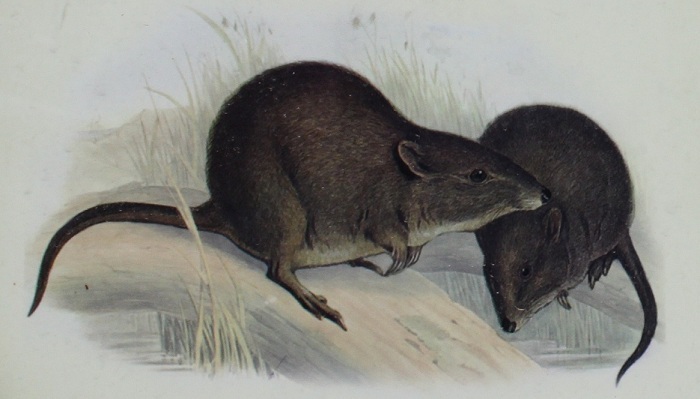 The Gilberts Potoroo was first recorded in 1840 by John Gilbert who was a naturalist from England.It was thought extinct by 1906 then rediscovered in1994 in the Two Peoples Bay Nature Reserve.They can live to be up too 10 years old. 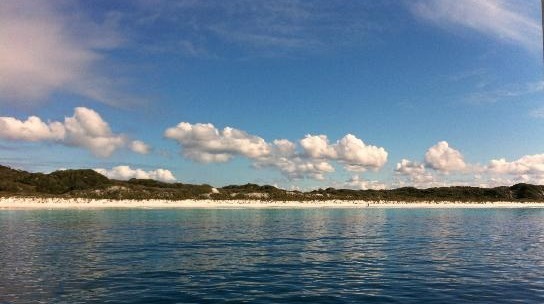 I have lived in Albany for 19 years and if I found a beach like Goode Beach anywhere else in the World it would be full of people swimming fishing BBQ'S and having fun. 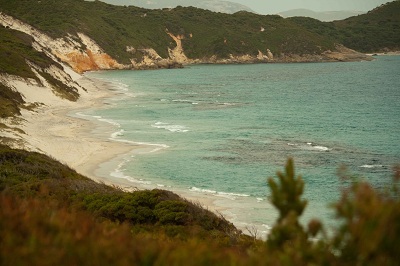 But in Albany Goode beach is mostly quiet, why! 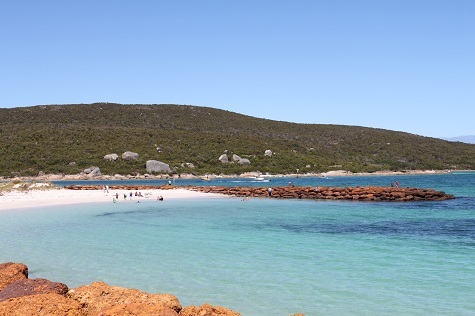 Because it’s a little way out and Albany is spoilt, as you will know looking through our Albany Beaches page for beaches and things to do. So if you want a World class beach, sometimes to yourself take a walk and 'Welcome to Goode Beach". Gull Rock Beach is part of of the Gull Rock Nature Reserve. It is good for fishing, walking and for those of you who appreciate nature, it has an abundance of plant, bird and wildlife, yes its your place to visit! 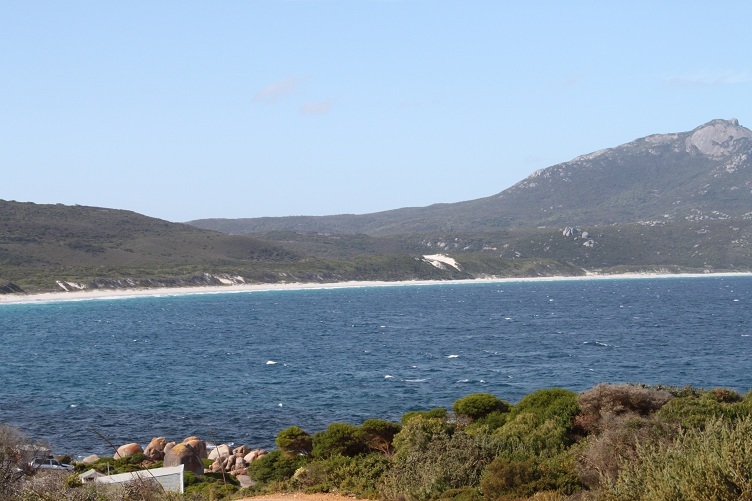 With outstanding views of Breaksea and Michaelmas islands, Albany’s harbours and the Torndirrup Peninsula.Within this area you can find Albany’s floral symbol, Banksia coccinea, many bird species, including Noisy Scrub birds which have been reintroduced. Ledge Beach is a place which despite being quiet very quiet has its own attractions. If you want history then go to the southern end which is often called Boiler Bay. Here you will find what’s left of a ship that was wrecked there in 1936. Not a ship wreck as it was towed here from the town jetty after as much as was of value was taken! 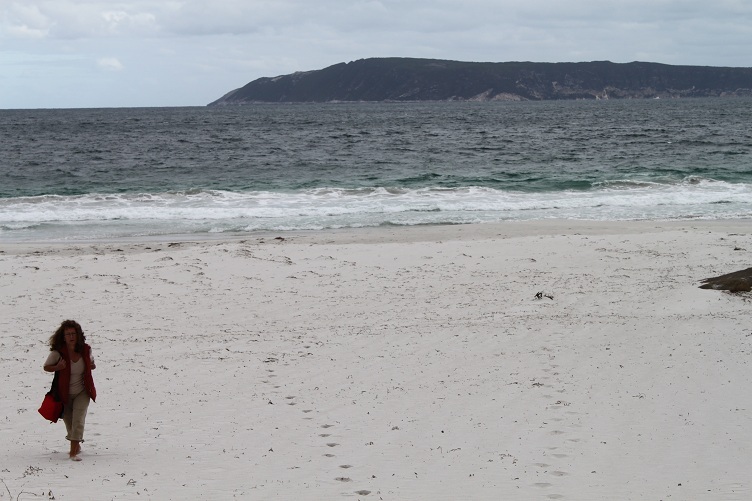 Walk the very quiet beach taking in the wild life and views across King George Sound to Breaksea Island and Michaelmas Island. Fish from the beach or rocks at Boiler Bay end, with caution, it’s a great spot to go when you don’t want a lot of noise save the breaking of the waves. Oh yes there is one other thing did I mention, it is quiet? Its quiet on Ledge Beach. 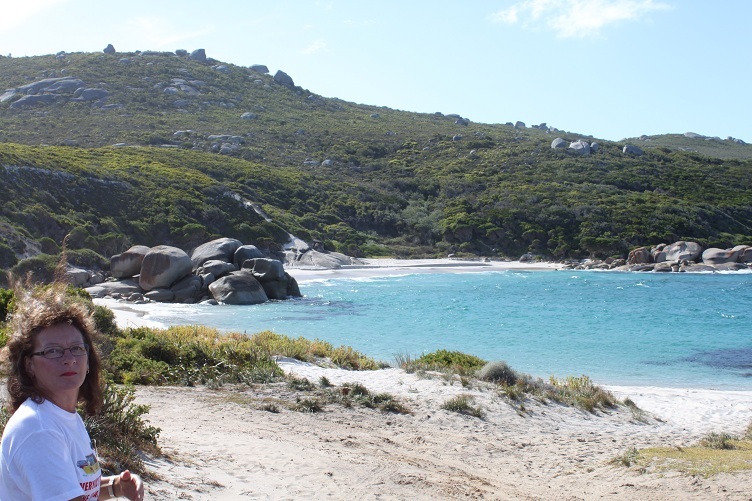 Norman's Beach is a very quiet camping spot on a small inlet there is room for a few campers or tents, no caravans. I took a tour out there and found that there is a short walk to the beach down a track, which is good for walking and fishing. Warning due to Normans inlet being fresh water their can be Snakes and Mosquitoes found in this area so take care. Close to Waterfall beach and Two Peoples Bay Beaches. Close to Little Beach and Two Peoples Bay Beaches. 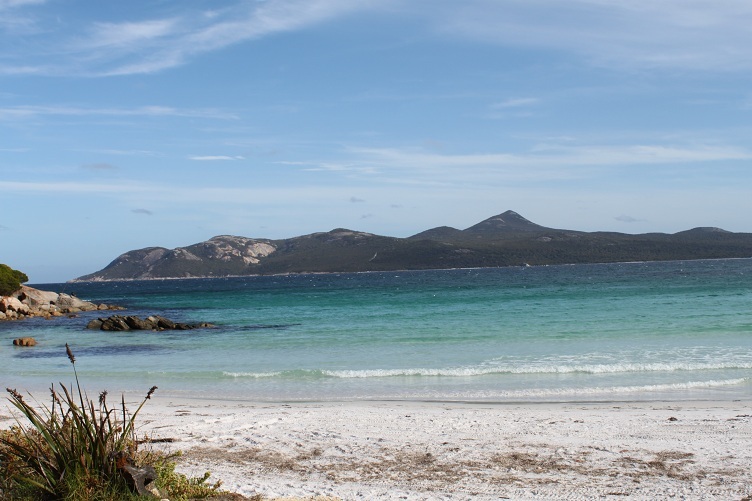 If you have found our 20 top Albany Beaches helpful please click the like button if you have anything else you would like to know click on send.